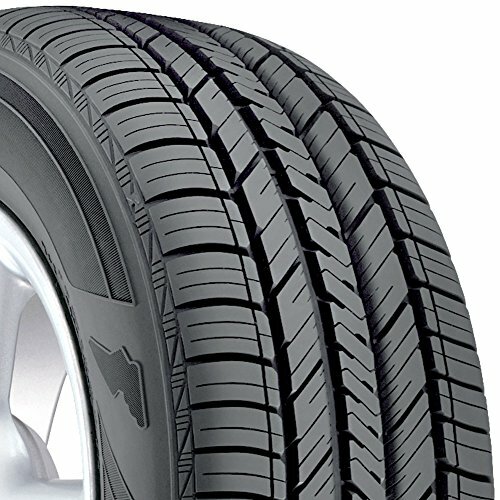 The Goodyear Assurance Fuel Max is a fuel-efficient passenger vehicle tire that provides confident all-season traction. The fuel-efficient tire compound provides low rolling resistance which enhances fuel efficiency and saves up to 2,600 miles worth of gas over the life of a set of tires. Dual aqua channels propel water off the tread and away from the tire. A Center Wet Zone provides enhanced traction in wet and light snow conditions, while an Outer Dry Zone enhances handling and grip for confident maneuvering. The tread's cavity shape is optimized to maintain enhanced contact patch at various loads.